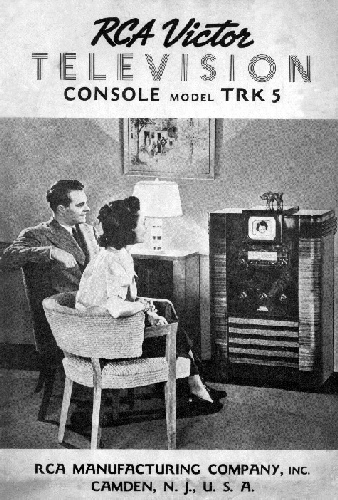 At $295.00 the TRK-5 was the least expensive of the three console model televisions RCA introduced at the 1939 Worlds Fair. It uses the 5BP4 CRT, and has a three band, BC and 2 SW, radio. There were 602 TRK-5's produced between 1939 and 1942, with 13 known units surviving. 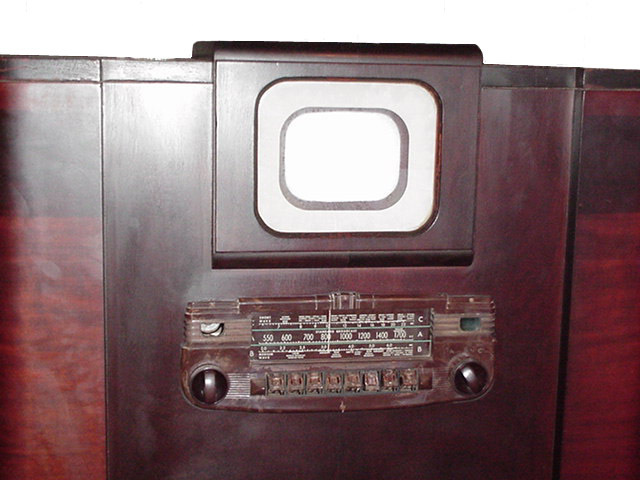 Close up of the CRT and radio. 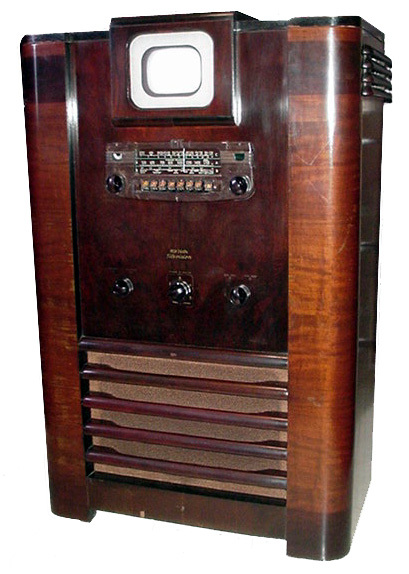 The radio bezel and buttons are made of a material called "tennite" which does not hold up well over the years. Usually the radio pushbuttons are reduced to mush, but for some reason the buttons on this set are still usable, although a bit rough looking. The cover page of the TRK-5 owners manual. To see or download the complete manual in PDF format, click on the front page above.